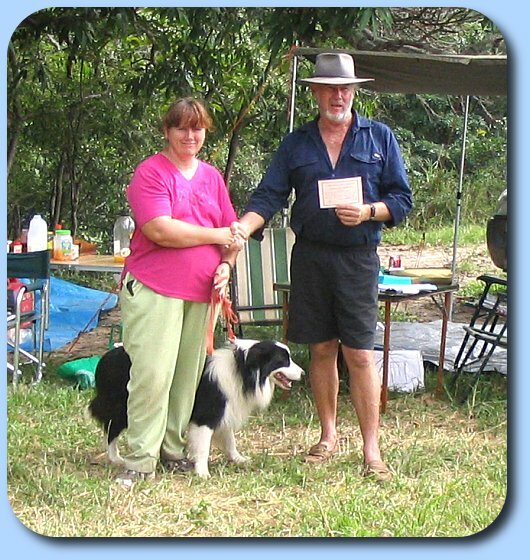 Sputnik had a great year in 2006 with his Tracking Dog (TD) title as well as his Endurance Test (ET). He was handled in both by Therese and although Sputnik needed very little training for the 20km ET, Therese probably needed a little more time on the bike due to the very wet conditions. See Sputnik's Page for more.